Every night since her death. Sweeta – You have written a great truth about how the worst atrocities haunt us always. You have expressed that beautifully in your heartbreaking poem. I hope that the nightmares will subside for you, allowing you to rest more easily, even as you continue to honor Farkhunda by remembering. Sweeta, thank you for sharing this powerful poem. 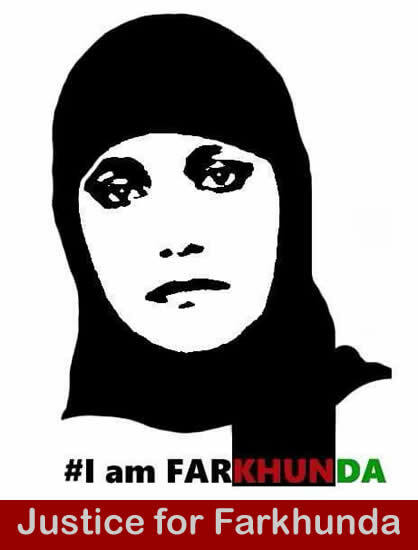 My hope is that writing about your pain will ease your dark nights and give you the strength to achieve your goal — Justice for your beloved sister, Farkhunda. Wishing you the peace that passes all understanding. From a sister with a rhyming name. Your poem really spoke to me. The way you expressed your feelings through these words hit me deep, I know how hard it must be to even think about the consequences of writing this but your bravery shows how strong-willed and determined you are. I hope your writing gets exposure so there’s an awareness of the in-justice happening in your country. Your courage to write this story is beyond amazing. I have a testimony that if women continue to do this, society for women of your race and religion will completely change and you will be accepted for being not only a human, but also a woman. Thanks very much for your kind words. I really appreciate that you like my work, your kind words give me more strength to continue writing.